All you need to do to enter is simply to put your name in the comment section of this post. No anonymous entries will be considered. The winner will be randomly drawn at the end of the contest, which will be Thursday, February 16th at 11:59PM. This contest is open to anyone in North America. (Sorry again to my loyal readers in the rest of the world.) Also, if you have a blog and would like to advertise this contest, it would be much appreciated. I will announce the winner on Friday. The complete New American Bible Revised Edition recently released by the United States Catholic Bishops. It features articles on subjects of concern to teenagers with an emphasis on what the scriptures teach regarding those subjects. This Bible explains what Catholic teens need to know and why they need to know it. A collection of insightful articles is presented in seven unique sections including: Your Decision / Your Reward; What Does the Bible Say About? ; Roots of Our Faith; Saints Relate; 1 on 1with Christ; What Jesus Did; What Jesus Said and Putting My Faith Into Action. 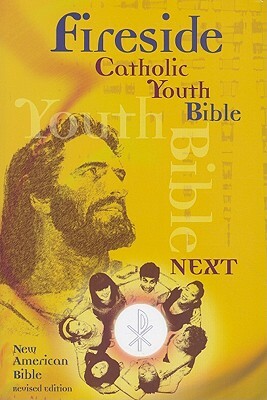 Features include: a Presentation Page; the Dogmatic Constitution on Divine Revelation; the Origin, Inspiration and History of the Bible; the Three Year Cycle of Readings; The Celebration of the Eucharist; Terms of the Mass; Basic Prayers and Practices of Our Catholic Faith and Page-edge Indexing.